Toba Lake Tour Packages - Lake Toba Tour Packages - North Sumatera - Lake Toba has incredible natural tourism, spiritual tourism, historical, or architectural and culinary tour. The atmosphere is cool and refreshing, a stretch of clear water, and stunning scenery with green mountains are a small part of the description of the marvelous beauty of Toba Lake Tour Packages . Lake Toba was formed by the eruption of a super volcano (Mount Toba) about 73000-75000 ago. Estimated that approximately 2800 cubic km of volcanic material spewed from the earth through the Peruvian volcano erupted while. At that time the wind blows volcanic ash has spread to half the earth. Explosion occurred during 1 week and throw the dust up to 10 km above sea level. According to estimates, the eruption of a super volcano caused mass death and extinction of some species of living creatures. The eruption of Mount Toba affect the civilization of the world with the changing weather and the start of the ice age earth. Lake Toba is actually more like an ocean than a lake. 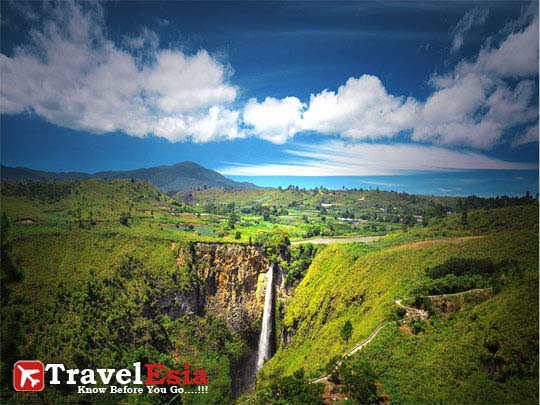 Lake Toba is the largest lake in Southeast Asia and the deepest in the world is approximately 450 meters. Type volcanic lake is the second largest lake in the world after Lake Victoria in Africa.Lake Toba is a place to relax and enjoy the scenery while cycling and enjoying the scenic view of the mountains. Arrive at Kualanamu International Airport, Medan or are waiting in the lobby of the hotel in Medan, welcomed or met by our representative. Furthermore, the group left for Parapat Siantar passed via the Trans Sumatra highway surrounded by oil palm and rubber plantations along the way. Pausingin Snacks And Pasar Bengkel Center Workshop for the benefit of the toilet. You can also shop for local specialties like Dodol And Snack Typical North Sumatra. The journey continues to Parapat, a seaside resort town in the southeastern part of Lake Toba lake. Check in at the hotel and dinner are served in the hotel restaurant or at a local restaurant. Free time after dinner. Breakfast at hotel and check out. The next event is a tour to the island of Samosir. An island located in the middle of Lake Toba boat. For the group over 15 people, will visit two places, namely Tomok and Ambarita by motor boat (no joining another party or public transportation). While the group under 16 people, will only visit Tomok public boat accompanied by a tour guide. Ambarita is a village where there are traditional Batak houses in Huta Siallagan.In the same place there is a stone table that was used by the king for the trial of the king's enemies, the deprivation and the execution of the death penalty for the enemies of the king who was convicted and sentenced to death even in this same place the Batak cannibalism legend ever. Tomok is an historical attractions in Samosir Island not far from the Ferry terminal in Tomok. In Tomok, you can find the grave stone of King Sidabutar dilegendakan as the first person who came to the island. In Tomok also be found dancing Sigale-gale, the human puppet can dance tortor (typical dance of Batak Toba) audio to music on guest request. Also in Tomok you can shop for souvenirs as well as a wide range of existing in Ambarita. After a visit in two places, the group left to return to Samosir Island Parapat mainland Sumatra island to have lunch at a local restaurant. After lunch, the group went to Berastagi in the Karo highlands. straight Fruit Market to shop for locally produced fresh fruit and other souvenir items. In Berastagi you can also catch a wagon ride, also known as "sado", all at his own expense. Next to the field through the hilly and winding. Arriving at the hotel, check in and dinner is served at a local restaurant. Breakfast at hotel and check out. Troupe perform in Medan city tour to visit the palace built by Sultan Maimoon Ma'mun al-Rashid in the Deli Sultanate in 1888. You also have the opportunity to buy souvenirs typical of Medan as Bika Ambon, Lapis Legit, Bolu Roll, Durian Pancake, or it could also eat durian at durian sales center. Lunch at local restaurant. Furthermore, the group moved to Kualanamu International Airport next destination. 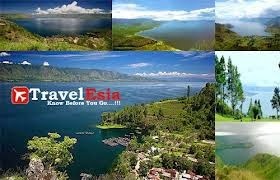 Tour Lake Toba Tour Packages or Toba Lake Tour Packages Ends. 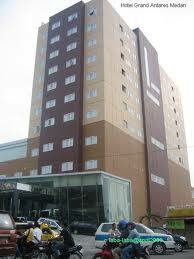 02 (two) nights hotel Accomodation (twin/triple-sharing basis) 1 night in Parapat and 1 night in Medan or Berastagi. Meals as written on the program (Breakfast, Lunch, Dinner). Motorized boat at Lake Toba for Samosir Tour. Tourist coach/car (fully air conditioned) during the tour (Avanza, Innova,New Xenia, APV, Kia Travello, Isuzu Elf or Bus). Tour Guide for GIT. For FIT, the driver will act as tour guide in charge. Mineral water as extra service in the coach/car. These rates are applicable for 4-star hotel. We afford to provide the lower prices by using 3-star or 2-star or budget hotels. Please contact us. This kind of tour package enables you to stay in Berastagi at the last night instead of staying in Medan as long as not make you will be late to reach the airport in Medan for your return flight. Similar grade of hotel will be provided. In case lunch had been given at the first day, lunch at the last day will be personal account (if any). Or it can be recalculated as additional charge. These rates are not valid for high season such as Idul Fitri festival, New year, Lunar New Year, Christmas and other public holidays when the hotels do not apply contract rates. The rates are subject to change without prior notice. The actual rates are the agreed rates in confirmation.